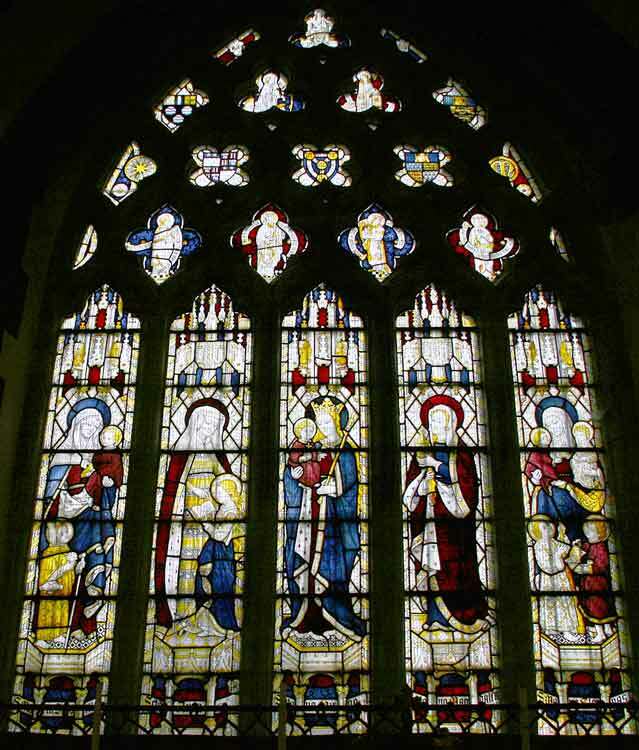 The glass in the east window was designed by Sir Ninian Comper and dates from 1896. 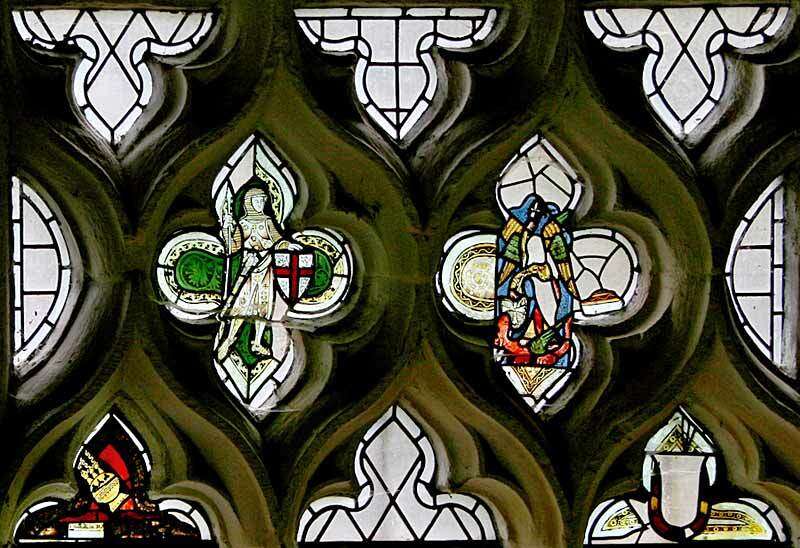 There are fragments of 14th century glass in the south window. 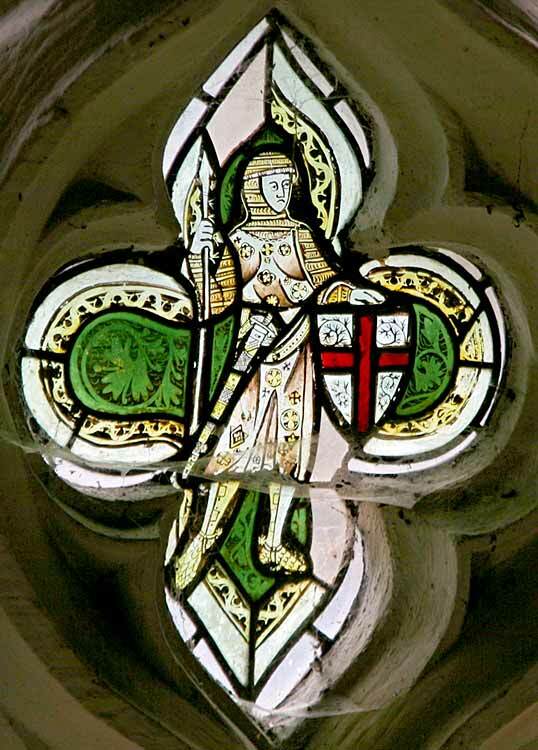 The stained glass includes images of St George and St Michael.